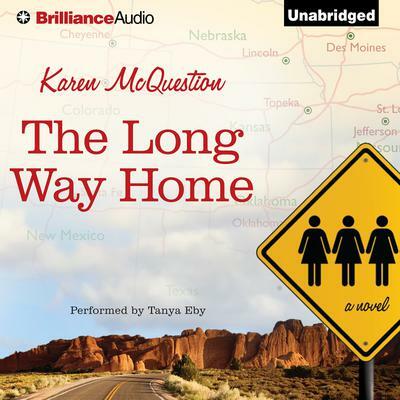 Four women bound by chance take the trip of a lifetime in this heartwarming novel by bestselling author Karen McQuestion. For Wisconsinites Marnie, Laverne, and Rita, life isn't working out so well. Each is biding time, waiting for something better, something to transport them out of what their lives have recently become. And then there’s Jazzy: bubbly, positive, and happy even though she hears voices of the departed. Brought together by a chance meeting, the women decide to join Marnie on a road trip from Wisconsin to Las Vegas where she intends to reunite with Troy, the boy she raised as her own—and who she’s been separated from since her boyfriend’s death. Little do they know that as the road trip unfolds, so will their lives—in directions they never anticipated. Humorous, heartwarming, and bittersweet, the journey has something special in store for each woman.